Once they had my and my husband’s passports, the DIA officers asked cursing nature question: “Are you aware of what your wife is doing? Who is she talking with? What a man are you who cannot control his wife?” – which hurt his personality. When my totally struck by this unexpected event husband asked the preparing to leave “invader guests” to return our passports, they told him that they would return them after a serious check and left our house. On that day, I was in the Department of Therapy at the Fergana Municipal Medical Department Hospital together with my sick son. Once I was told about what had happened, I left the hospital on the 14 of November, and went directly to the DIA office and inquired about those people who had taken away our passports and one of them had called himself Shuhrat. However, the people in the DIA office told me that there was nobody called Shuhrat who worked in the office. It was natural I started arguing with them. I had no doubt that it was the DIA people who had confiscated our passports. The DIA people accused us for giving away our passports to unknown people. They reproached us for giving our passports to any strangers without asking their names, without requiring presenting their officer certificates. In the end, I had to leave the Fergana town DIA office without having resolved the problem. In the evening, the area inspector for our community phoned us and said that some stranger found our passports in the street and brought them to their office. 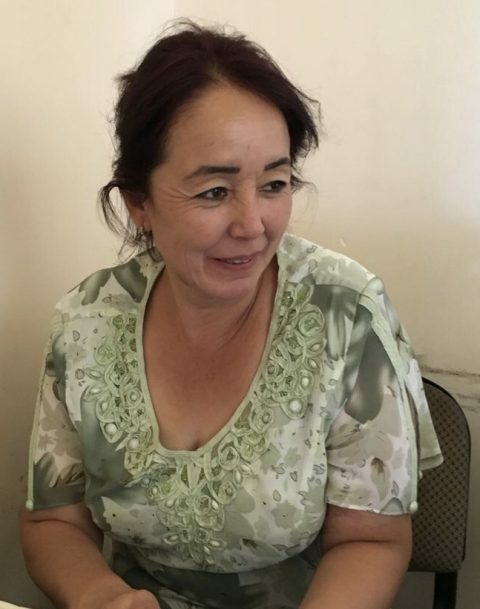 Being absolutely happy, when I told him that I would come to the area police office right away, the inspector told me that he was urgently going to Tashkent region to check some complaint application, and would give our passports to us personally once returned and switched off his telephone. Then I realised clearly that this was a joint measure undertaken by Fergana town NSS and DIA intended to prevent me from going to the following Congress of the People’s Democratic Movement Birdamlik. Although, I knew that it was a usual thing in our society, where humiliation of human rights is a usual practice, my hatred to such violence multiplied for thousands times and firmly decided to fight against such injustice, suppression and violence. Although the law enforcement authorities deprived me of attending the Congress of PDM Birdmalik, I managed to attend the online Congress of the Movement on the 15 of November. At this Congress, which was full of heated discussions and concessions, I voted for reorganisation of Birdamlik PDM to a Party, participated at discussions of the Charter and Program of the Party. We elected Chairperson of the Birdamlik PDP. Taking into account the fact that amongst the four candidates of our associates for Chairmanship, only Bakhodir Khan Turkiston can lead our party in these difficult conditions, I voted in his favour. At about 7:30 in the evening of the 15 of November, the local area police inspector returned our passports. From now on, I will continue fight against injustices together with the Birdamlik PDP.